The surf life saving movement evolved gradually. Unique to Australia, the development of life saving brigades in the early years of the twentieth century grew out of necessity. People were losing their life in the surf, swept out by treacherous rips, desperately fighting against currents and undertow, and frequently drowning their would-be rescuers. Local councils provided lifelines at popular beaches and there were many regular beachgoers who attained a degree of surf sense which enabled them to carry out successful rescues. Up until 1902, there was a law against daylight bathing. On Saturday January 13th William Petherbridge, a resident of Pacific Street Newcastle, took out a summons against a pair of sea bathers who were subsequently found guilty and each fined 10 shillings. Despite these restrictions and neck to knee swimwear fashions of the day surf bathing became increasingly popular at Newcastle Beach and other locations such as 'The Bar' (Bar Beach), Merewether and at coastal mining villages such as Redhead and Catherine Hill Bay. In 1894 the district's first recorded shark attack occurred at Newcastle Beach, when Horace Hewison was seized. Newcastle Beach was a mere stone's throw form residences, shops, offices, transport terminals and the local hospital. With the rescinding of the old ordinances preventing daylight bathing the local beach was becoming more and more popular. People were enjoying a dip at lunch times as well as in the morning and after work, and on summer weekends the crowds enjoying 'a day at the seaside' were becoming larger and larger. But the open and unprotected nature of Newcastle beach meant that the inexperienced bather was liable to be carried out, and in fact a series of drowning tragedies during the Christmas holiday period in 1907-1908 would very quickly lead to the formation of the region's first 'surf life saving' club. Now that Newcastle SLSC was operating considerable interest was evidenced in other areas of the city in forming surf lifesaving clubs. Merewether SLSC was well on the way and was the first club to hold a 'surf carnival' as distinct from a lifesaving demonstration and have competitors from other clubs taking part. But before Merewether held its carnival 2 more 'surf' clubs were born. The first was Stockton SLSC, with the second being Newcastle South SLSC, also called 'The Bar' and later, from 1911 as Cooks Hill SLSC. The season of 1908-1909 would see the fifth Newcastle area club formed. The twin mining villages of Dudley and Redhead gave birth to the Redhead Amateur Surf Club on 12th December 1908. By the 1911-1912 season Redhead had purchased its first reel (a cost of seven pound and sixteen shillings). Made from steel bicycle parts and painted canary yellow, it was christened at a special function on December 2nd 1911. 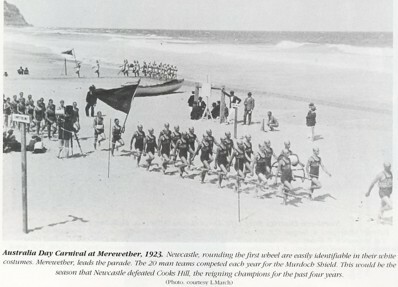 It was not until the early 1920's that Newcastle saw the formation of Nobbys SLSC and Catherine Hill Bay SLSC. The 1928-1929 season saw ten clubs affiliated with the Northern Branch, from Blackhead in the north to Catherine Hill Bay in the south. The highest number of awards (22 in all) was obtained by Swansea (Belmont) SLSC who presented their first S.B.M. squad on the 18th November 1928. 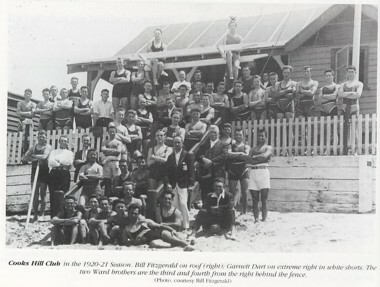 The future of the Swansea SLSC was greatly threatened in the 1929-1930 season with the establishment of a club at Caves Beach. At the Annual meeting of the Branch in October 1929 a very stormy debate ensued on the application for affiliation of the Caves Beach Club which was opposed by the Swansea club. Swansea-Caves was granted affiliation at a subsequent meeting of the Branch and presented their first Surf Bronze medallion squads on the 22nd December, 1929. In 1929-1930 season, the Mid North Coast Branch was formed and both Blackhead and Taree-Old-Bar SLSC transferred their affiliation to this new branch which included already existing clubs from Kempsey south to Forster. Following the formation of the Mid North Coast Branch and in accordance with the suggestion form the Association, the name 'Northern District' was replaced by 'Newcastle Branch' as a more accurate description. Henceforth the Newcastle District Branch of the SLSA would be responsible for the promotion and implementation of surf life saving from Port Stephens in the north to Catherine Hill Bay in the south, boundaries which have remained unchanged to the present. More recently has the Branch changed its name to the Hunter Branch. The 1931-32 season saw the formation of Tea-Gardens (Hawks Nest) SLSC, with the 1932-33 season bringing to life the Scotts Beach SLSC, which was in the following year to change its name to the current Dixon Park SLSC. In 1969-1970 season, Fingal SLSC was subsequently affiliated with the Newcastle Branch, with the youngest club, Birubi SLSC was first formed in 1995 and was finally established in 1998. This saw the number of affiliated clubs brought up the current 13 clubs. Throughout the time frame since Newcastle SLSC started to operate, their were a number of other Surf Clubs established for short periods of time that aided in attempting to provide a safe beach environment. These clubs later on either faded away due to lack of support or members merged with other pre-established clubs. The Hunter Branch of the Surf Life Saving Association of Australia is a unique organisation, yet it upholds the same common goals of similar bodies throughout Australia - to protect the surfing public and promote the interests of safety on our beaches. The Hunter Branch has played a vital role in shaping the Surf Life Saving Movement of today. Our local lifesavers, and the people of our region should be proud of the service that the Branch has built up and the contribution it has made over the past 86 years. 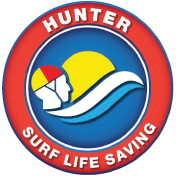 We are proud to say that since the birth of the Hunter Branch in 1918, our surf clubs of the hunter have been successful in preventing the loss of life between the flags for the past 91 years. PLEASE NOTE: all of the above material is a very brief summary taken from a book titled 'The Northern District Surf Lifesaver' as superbly researched and written by the Hunters' own Chris Conrick. If you wish to find out more detailed information relating to the history of the Hunter Branch, please contact Hunter Surf Life Saving on 4961 4533 to purchase your own copy. The book is very detailed in regards to the history of the Branch, winners of most carnivals since the inception of the Branch, and much more.